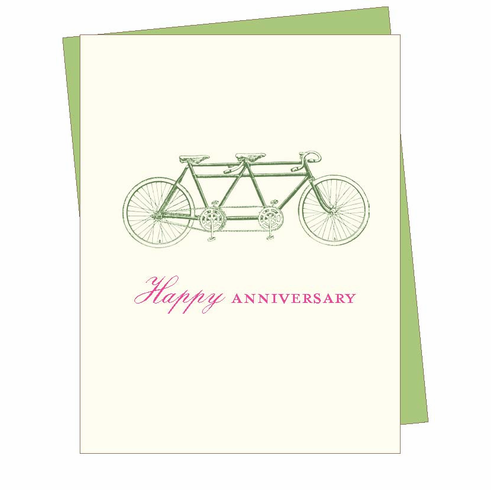 This sweet anniversary card has a vintage illustration of a tandem bicycle- the perfect analogy for a couple. (Original title: Instant argument.) Outside text reads "Happy Anniversary." Blank inside.